This page notes details of Fragrance Storm (Spell Card/Normal) : decks, tips, effect and rulings. Learn and enjoy playing Yu-Gi-Oh! Duel Links! Target 1 Plant-Type monster on the field; destroy that target, and if you do, draw 1 card, then if that card is a Plant-Type monster, you can reveal it and draw 1 more card. Allows you to draw cards. Text says "destroy" which might help trigger some effects. Can only destroy Plant-type monsters. 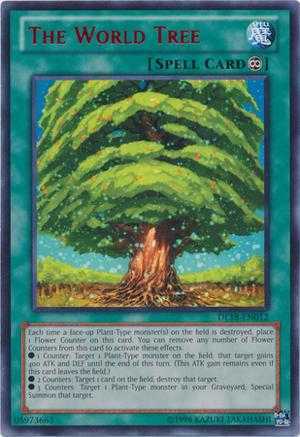 Unless your opponent controls a Plant-type monster, you might need to destroy your own monster to use this card. 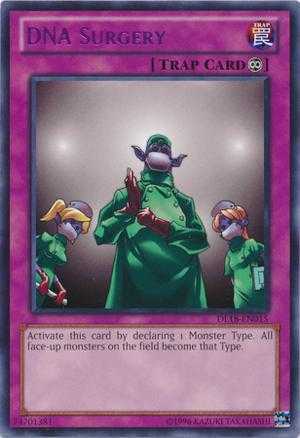 Change all face-up monsters on the field to Plant-type with DNA Surgery, so you can use Fragrance Storm to destroy anything your opponent controls. 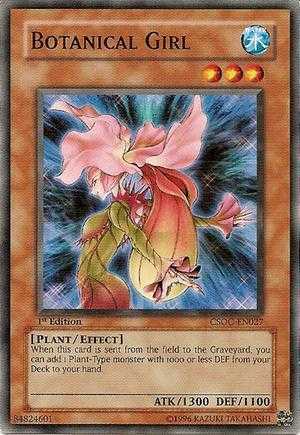 Botanical Girl needs to be sent to the graveyard so that she can search a monster from your deck. 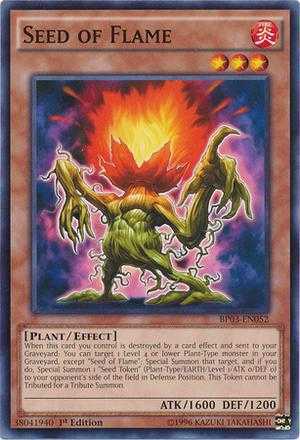 Seed of Flame needs to be destroyed by a card effect to revive a level 4 or lower Plant-type monster from your graveyard. When a face-up Plant-type monster on the field is destroyed, The World Tree gains a counter. These counters are used to activate it's effects. Akiza is the type of duelist who makes a non rare card like this one broken. Fix Fragrance Storm, Akiza keeps killing non-plant monster on my side of the field to draw cards. Does she have Ivy Shackles activated? If she uses the trap "ivy shackles" your monsters are considered plant type during her turn thus susceptible to fragrance. Pot of Greed of Plant type. It's been quite long that this card has not been at the card inventory...Is it still available?? Correct, this page is wrong. Seed of Flame is a "when... you can..."-effect, meaning the "when"-condition has to be the LAST thing to happen for its effect to work. When you use Fragrance Storm, the last thing to happen is that you draw a card, so Seed of Flame misses the timing. By the way, this is also the case with Botanical Girl. Actually, it seems I was partially wrong. The destruction and the drawing actually happen at the same time, so it won't miss the timing. The problem is if that draw nets you a Plant-Type: if you show it for the extra draw, THEN you will miss the timing. However, that's optional, so if you decline the extra draw, you can still use Seed of Flame or Botanical Girl.